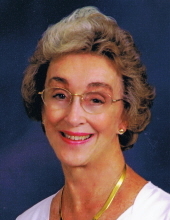 Janice Lee (Hoffman) Jones Carstenn died March 23rd. Born in 1926 in Detroit, Michigan, a graduate of Michigan State University, a member of Alpha Phi Sorority and the National Society of the Daughters of the American Revolution. In 1960 moved to Waukesha, WI. with her husband, Shelby Forsythe Jones, who died in 1971. She and her late husband, Theodore Edward Carstenn, retired to Sanibel Island, Florida in 1984. Over the years her volunteer activities included the Waukesha Service Club, Sanibel Historical Museum and “Ding” Darling Wildlife Refuge. She has resided in Centennial, Colorado since 2006. She leaves behind her sons James Hoffman Jones (Sandi) and Schuyler Andrew Jones (Allison) and grandsons Andrew, Benton and Carstenn. Sons Terry Carstenn (Vicki), Todd Carstenn (Mary) and grandsons Jared and Dustin. A memorial service will be held on April 26 at 3:00 pm at the Holly Creek Fellowship Hall, 5500 E. Peakview Ave. Centennial, CO 80121. If you wish, Memorials may be made to the “Ding” Darling Wildlife Society: P.O. Box 565, Sanibel, Florida 33957 or at DingDarling.org/donate, Waukesha Service Club: https://waukeshaserviceclub.com/, or First Presbyterian Church of Littleton Renovation Fund: http://littletonpresbyterian.org, 1600 W. Littleton Blvd. Littleton, CO 80120. To send flowers or a remembrance gift to the family of Janice Lee Jones Carstenn, please visit our Tribute Store. Services conclude at Holly Creek Retirement Community. Guaranteed delivery before Janice's memorial service begins. "Email Address" would like to share the life celebration of Janice Lee Jones Carstenn. Click on the "link" to go to share a favorite memory or leave a condolence message for the family.